Start with walk/jog intervals. Perform a walking warm up for 10 minutes, then start with 3-5, 10-30 second jogging intervals followed by 1-2 minute walking recovery intervals, complete your workout with a 10 minute walking cool down. Wear running shoes. Go to your local sporting goods store and ask about running-specific shoes. Proper footwear is essential with high-impact fitness. Listen to your body. 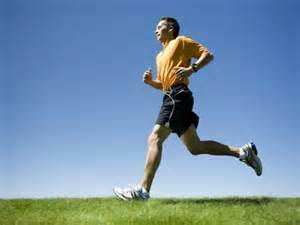 When beginning a running program, listen to your body and level of soreness. 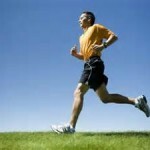 Muscle aches are okay when starting new exercise, consistent pain is not. Start a tradition… of fitness! Pick one day or one special occasion and initiate a fitness tradition. Begin with friends and family, and then invite neighbors, coworkers, and others from there. 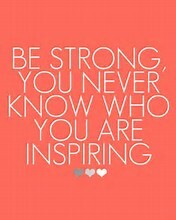 Perhaps a 2 mile walk on a designated route or time, or a 4 mile bike ride to a special destination, or maybe a 2 mile hike to an inspiring look out or peak. Let your imagination go and see where it takes you! Designate the same day each year. 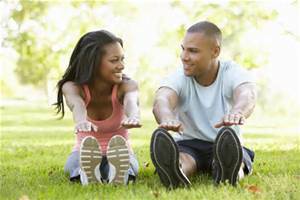 Planning your fitness tradition to happen on a holiday, or particular day each year, allows others time to plan to take part. Follow a designated mileage or duration. A set goal or miles or duration allows everyone to train and prepare for your tradition. Include the FUN. Add music, fun costumes, special invited guests or snacks! The sky is the limit. Choose a person or cause to honor with your tradition. Honoring a special cause or person gives the tradition value and purpose. Have FUN with your Fitness! Does your fitness need a little FUN? Fun fitness means you’re more likely to log consistent workouts. Consistent workouts means results! So if you’re wandering through your workout on auto-pilot with little enthusiasm, it’s time to change up your approach. 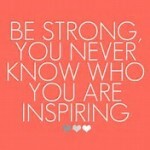 Motivation is waiting for you every Monday! Pick up exercise tips, gear ideas and motivation solutions while chatting with others every Monday at 5pm(Pacific)/8pm(Eastern) with #HealthyWayMag Fitness Chat on Twitter! Log into your twitter account. Enter #HealthyWayMag to see the chat feed. You’ll see questions for discussion posed as Q1 for Question 1, Q2 for Question 2 and so on. Participate by offering your Answer to Question 1 by noting A1 and so on. Tag your responses with #HealthyWayMag to interact with others. Chat with others and have fun! Fitness is more fun with friends and family joining in! Adding physical activity into your day and family time is as easy as a roll of the dice or flip of a card with Flip2BFit! Playing board games, you’ll be teaching your kids about cardio, yoga and strength exercises…all while having fun and setting up healthy behaviors for a lifetime. Check out their YouTube channel to learn more about their award winning products, FITNESS-IN-A-BOX Board Game and BAKARI-Fitness Memory Card Game. Be sure to follow them on Twitter @Flip2BFit to receive all updates. Their games may also be purchased on Amazon and ToysRUs. Makes a great gift for teachers, sports clubs and parent/child organizations! 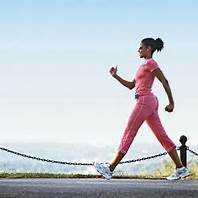 Walking is effective cardiovascular exercise. Walking for fitness requires no additional equipment, and can be done right from your front door. Heel Raises: Stand keeping your torso straight. Lift and lower your heels. Toe Raises: Stand keeping your torso straight. Lift and lower your toes. Squats: Stand with your feet hip width apart. Bending from your knees and hips, sit back and lower your body toward the ground about six inches. Stand back up to return to your starting position. According to the Center for Disease Control (CDC) nearly 70% of America’s adults and about 30% of our children are overweight or obese. It appears these stats aren’t independent. Research suggests overweight, inactive children often come from overweight, inactive parents. The cycle of caloric over-consumption and sedentary behavior in the home appears to be taking its toll on all members of the American family unit. Children’s attitudes and behaviors towards exercise and nutrition are significantly influenced by their parents. 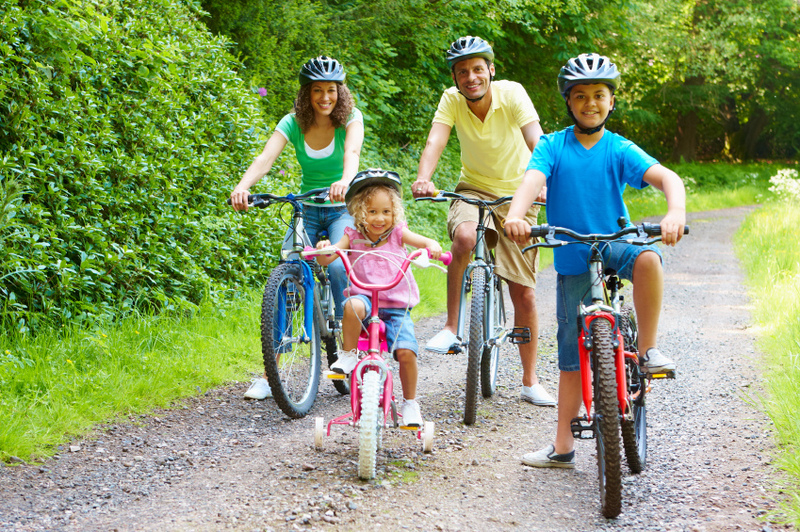 If mom and dad see exercise and quality nutrition as punitive, odds are, the kids will too. On the other hand, if exercise and nutrition are embraced and celebrated in the home as part of a happy, healthy lifestyle, children learn positive habits for a lifetime. 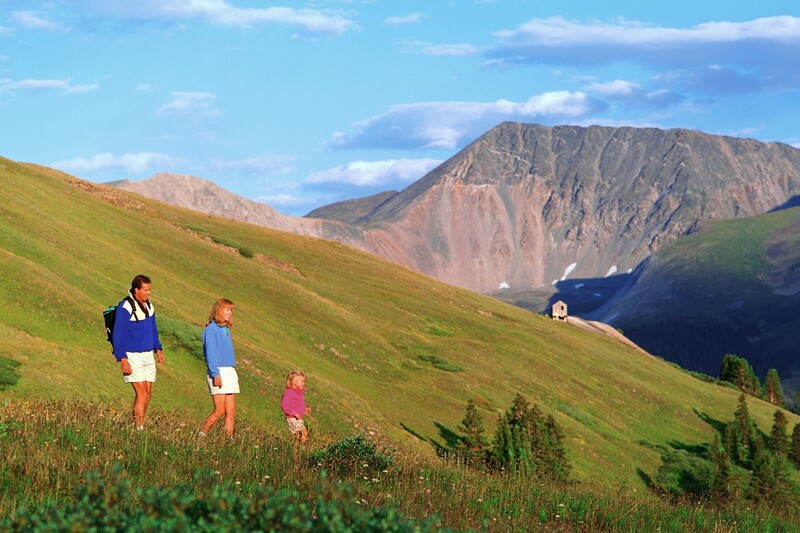 A family that exercises together THRIVES together. Getting off the couch and sweating with your kids not only burns calories and improves fitness for everyone, it can improve your relationship, decrease stress, and increase academic performance. Exercise is not limited to regimented routines. 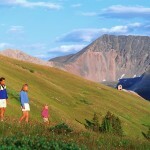 Anything that is sustained, active, and physically challenging can improve health and vitality. 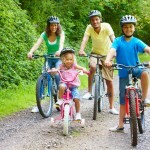 Find an activity the family likes to do together and do it a few times per week. Kids and adults both love a little competition. While adults are often physically superior in regards to strength and other athletic attributes, certain activities can even the playing field. Get off the couch and challenge your kids to one of these fun family competitions below, right in your living room! Remember, if parents have a negative attitude about exercise and nutrition, their kids most likely will too. If children hear that “mom or dad exercises because they’re fat and have to lose weight” it sounds like it’s a punishment. 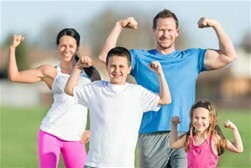 When mom or dad talk about exercise in a positive light, i.e., “mom and dad exercise because it keeps us healthy and makes us feel good” it sounds like a reward. 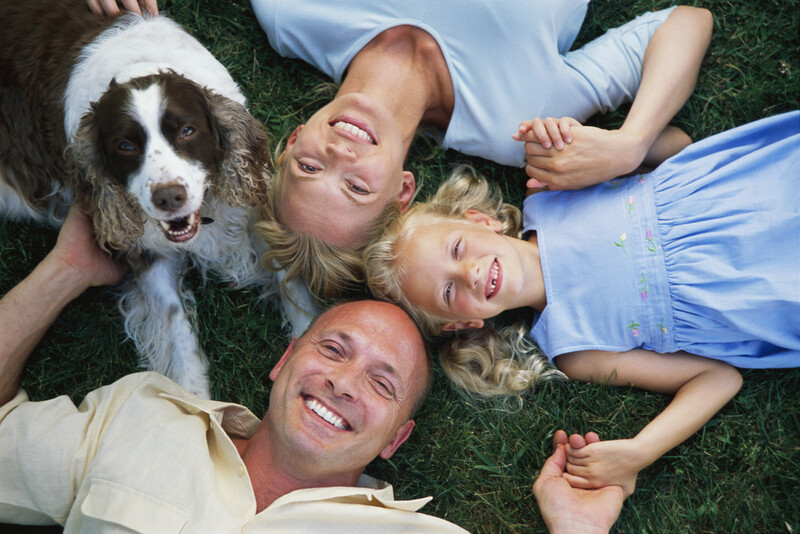 Try these 3 tips to create a happy, healthy, active family for life! Brett Klika, author of the Underground Workout Manual- Fat Loss Results for Busy Adults (www.undergroundworkoutmanual.com) is an award winning personal trainer, author, and international motivational speaker. He inspires men, women, and children around the world to create a culture of wellness in their home and live the best version of their life. Contact Brett with questions or comments at brett@spiderfitkids.com. Do you dream of having the family come together at the table every day? Are you at a loss about how to make it happen? If so, then you’re not alone. 1. Think Beyond Dinner. Don’t get fixated on dinner being the meal that your family eats together. In many families, it’s breakfast where people come together to eat and connect. It’s a fantastic way to start the day. Another great strategy is a bedtime snack/second dinner concept. This works well in families where one parent works later or gets home from their commute too late to eat dinner with (especially younger) kids. In this scenario, the parent who is home earlier makes dinner and eats it with the kids. When the later-arriving parent gets home, the kids join him/her at the table. The later-arriving parent eats warmed-up dinner and the kids eat their bedtime snack. This way everyone is eating together at the table and connecting. 2. Plan Your Schedule with Eating Together in Mind. As the saying goes, “if you fail to plan, you plan to fail”. There’s another saying that’s true too: “you can’t have it all”. This next piece of advice may sound harsh, however I’m sharing it in the attempt to be of service – to give some tough love. Many parents have told me that they can’t eat dinner together because the kids’ activities extend over dinnertime. Having this schedule means that you are choosing ballet and soccer as priorities over eating dinner together. Determining your family’s priorities is your choice. If you choose ballet and soccer that’s OK, own your choices! Determine your values, set priorities and then make your schedule to align with it. The problem comes if your schedule isn’t a match with your priorities. If it’s out of alignment, then make changes. If it is in alignment, then let go of the guilt of not being able to have it all. 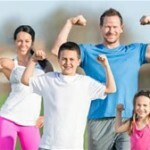 Exercise as a Family by Brett Klika C.S.C.S. We as adults wish to create a future of happy, healthy, disease-free adults with our kids, it’s time we start practicing what we preach. If we want healthy kids, it’s time for us to be models of a healthy lifestyle. Our kids model our behavior. 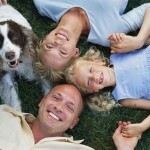 Their attitudes and actions toward everything from nutrition to exercise are shaped by our own actions and behaviors. If we want our kids to eat well, we need to eat well. If we want them to exercise, we need to exercise. Everyone in the family gathers as many of their balled-up socks as they can carry. An area is selected as the “goal.” This can be a container or basket in living room, house, backyard, front yard, park, anywhere. On a “go” signal, everyone tries to throw their socks in the goal the fastest. The primary rule is you cannot throw from the same place twice. Each “round” lasts 2 minutes then everyone gathers up his or her socks for 60 seconds. Five “rounds” is 15 minutes of pretty intense exercise, assuming everyone is moving. Points can be kept making a goal or basket or any other parameters. Safety rules appropriate to the environment are established. The adults in the family write down 20 physical activities on separate small pieces of paper. These are then hid around the house. Kids are then tasked to find them. When they find them they open them and the entire family performs the activity for the reps or amount of time given. Putting a time limit on finding all of the activities and doing all of the exercises makes it more interesting! A family that exercises together stays together! Create a culture of wellness in your home to help our children grow to become happy, healthy, disease free adults! This article is written by Brett Klika. Brett Klika C.S.C.S., author of “The Underground Workout Manual- Exercise and Fat Loss in the Real World” (www.undergroundworkoutmanual.com) is a world renowned human performance specialist, motivational speaker, author, and educator. In his 15 year career, Brett has accrued more than 20,000 hours of training with youth, athletes, executives, and every day people. He uses this knowledge and experience to motivate individuals and audiences around the world through his writing, speaking, DVD’s, and free blog, www.brettklika.com. To try the Underground Workout Manual for FREE, visit www.brettklika.com.